PROSECUTOR: William J. Johnson, Esq. The defense lawyers at LS&P Lawyers have over 35 years of combined experience representing clients charged with criminal offenses, traffic violations and DWI. Our experience and record of success, as well as specialized training in DWI (driving while intoxicated) defense, makes us the number 1 choice to handle all traffic and criminal matters in New Jersey. If you or someone you know has been arrested in Bloomsbury or Bethlehem and scheduled to appear in municipal court talk to our knowledgeable legal team for advice. Talk to us anytime –day or night. We can be reached 24/7 at 908-709-0500. Why is my case in Bloomsbury and Bethlehem Municipal Court? This court serves those charged with a disorderly persons offense, traffic violation, or DWI in Bloomsbury, Bethlehem, and Lebanon Borough. Cases heard here include: speeding, reckless driving, driving with a suspended license, possession of less than 50 grams of marijuana, possession of paraphernalia, criminal mischief, and many other offenses. Don’t underestimate the seriousness of these offenses. A conviction in this court can result in serious ramifications. Speak to one of our skillful lawyers to determine the best defensive strategy. 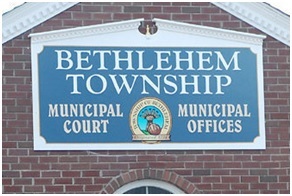 The Bloomsbury and Bethlehem Joint Municipal Court is presided over by Hon. Robert L. Alexander. He has 43 years of experience practicing law.